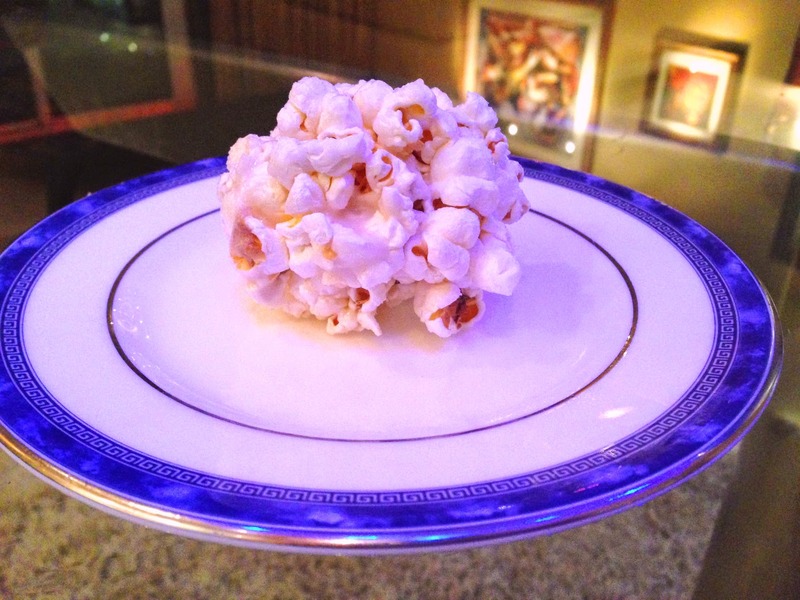 Normally popcorn balls are loaded with sugar and butter! 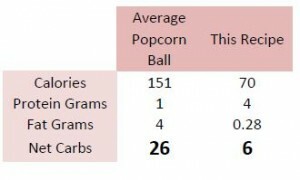 These babies are loaded with protein and fiber. 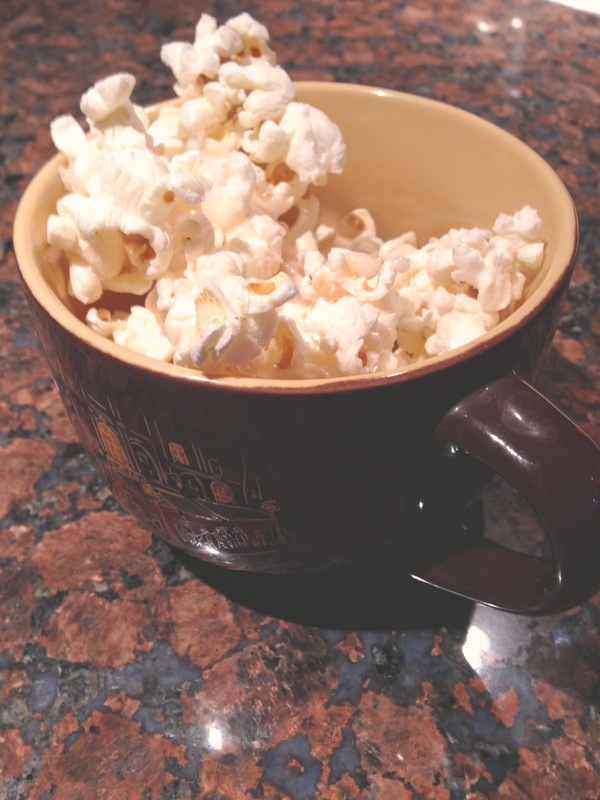 The recipe is super simple and is made with Vitafiber syrup. 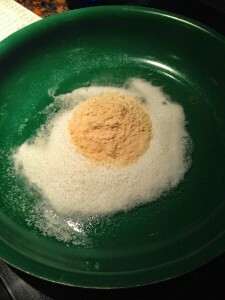 You can purchase Vitafiber here. Look at this simple nutritional comparison of my recipe vs. the average popcorn ball. If you are popping your own corn: Airpop the popcorn, spray with a little nonstick spray, add some salt and put in the oven at 250 degrees while you are prepping the Vitafiber coating. 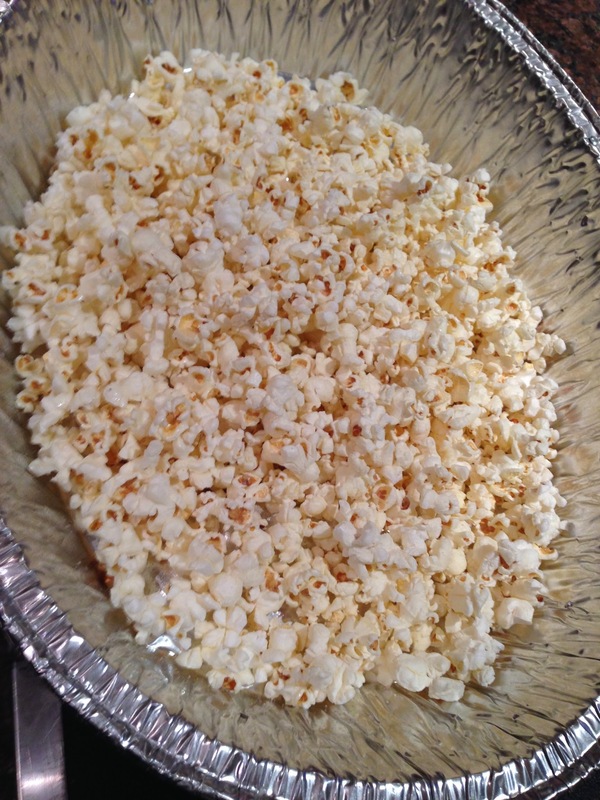 Lay out the popcorn on a big piece of parchment paper. Using a nonstick pan, combine all remaining ingredients in the pan. Stir constantly and heat the vitafiber mixture over medium heat. 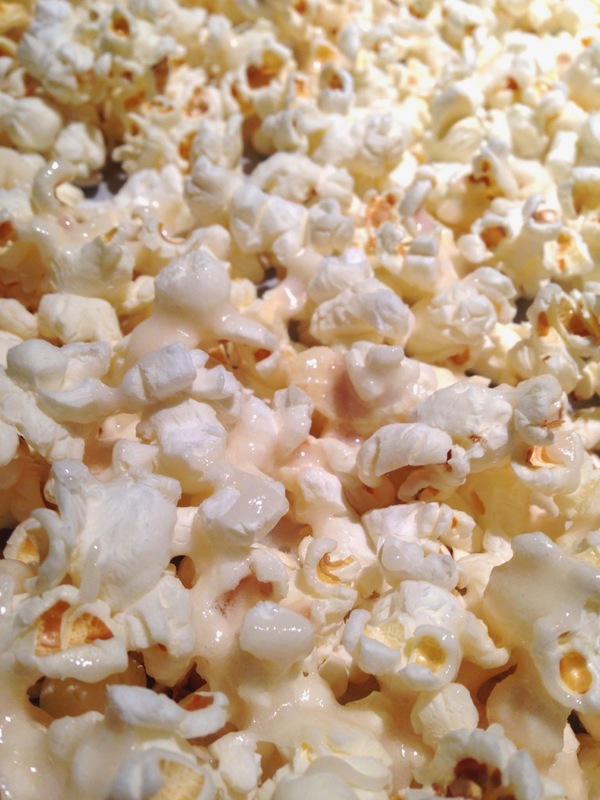 After about two- four minutes, you will see little bubbles forming and your mixture is ready for the popcorn! 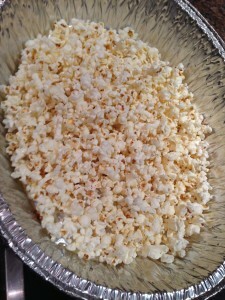 Pour evenly over the popcorn and let sit for about 10 minutes. 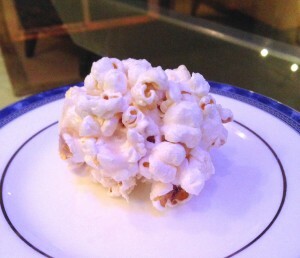 Next form into 8 popcorn balls. (Or eat out of a bowl like I did!) 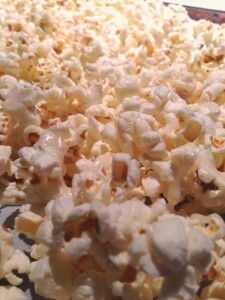 Serve immediately, or store at room temperature in an airtight container for up to three days. ← Low Net Carb Peanut Butter Fudge- Made with VitaFiber!